We all know how difficult it can be to acquire high-quality backlinks to our websites. Gone are the days when you could simply go out and build as many links as possible without the worry that you will receive a slap from Google. Manual penalties for having blatantly manipulative link profiles are all too common, and of course, you also need to worry about falling foul of Google’s Penguin algorithm. Below are some techniques that I’ve actually used in the past that still work and can help you acquire high quality backlinks which in turn will help improve your website’s position on the search engine result pages. Please use the following techniques with caution as they can backfire if you get it wrong. This technique is as old as the hills when it comes to traditional PR and can be considerably easier to pull off in the connected world. Many journalists are constantly scouring social media sites such as Twitter to try and find ideas for stories. It is worth remembering that journalism is fiercely competitive and tight deadlines have to be met so if you can get a good story in front of the right journalist at the right time you could be on to a winner. If you struggle to come up with completely original ideas yourself that you think will appeal to news publishers then take a look at what has worked in the past for inspiration and adapt it. The above Tweet resulted in a story being published on several high-authority news sites around the world including the BBC. I find it extremely hard to believe that this was a true story and after Dan Barker investigated he thinks that Alex, who sent the original Tweet, may have been carrying out a cleverly crafted PR stunt. Here is a copy-cat example that has been adapted slightly. 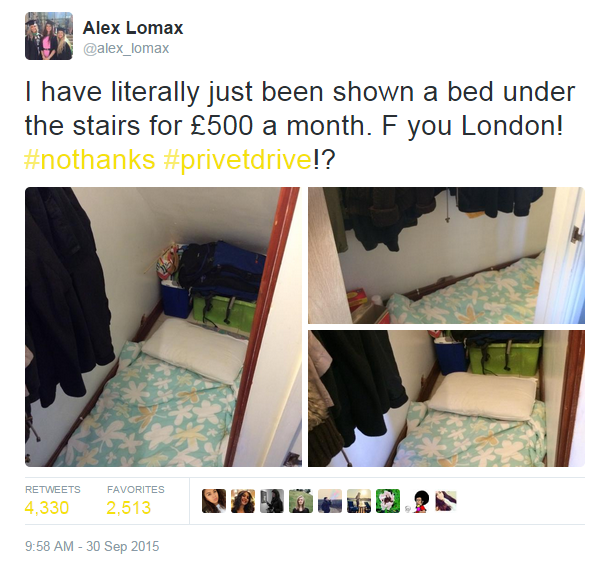 Again, it was an outrageous story about someone who went to view a flat share and discovered that the landlord was actually trying to let a bathroom. Why did the above examples work? The above examples worked as they were a mixture of funny, emotive and outrageous but they were still believable enough people that it was shared and sparked some debate surrounding house rental prices. Even people that didn’t quite believe it was true shared the story. An example of this is when Bitcoin arrived on the scene and some quick thinking companies adapted, or at least they claimed to have adapted, to accept Bitcoin as a form of payment. At the time, this created a lot of stir but even as recent as last year Barclays bank was in the news as it was claimed they were set to become the first high-street bank to accept Bitcoin. I honestly can’t believe how long the Bitcoin story has been stretched out for but perhaps if they’re not yet accepted in your industry there is still an opportunity to get involved and create a newsworthy story. I think virtual currency stories still have legs so keep your eyes peeled for new ones that come on the market. For example, there is a lot of buzz about a currency called Decred which has created a stir as their developers worked on Bitcoin-related projects in the past so maybe there is an opportunity there if the currency successfully launches. If something new and exciting comes along try to figure out if you could somehow incorporate it into your business or website. If it is relatively low risk and you think you can take advantage of all then you have very little lose. If you run an e-commerce website then creating a joke product can be a relatively easy way to generate some great quality backlinks. With April Fools’ Day just a few months off this could be a great time to get planning! An easy way to make this work for you can try to create a product that engages with fans or a community. Firebox is absolutely amazing at this type of thing, one product that was a huge success was Blue Meth Candy which was created with Breaking Bad fans in mind. Create a product that appears to be so outrageous that it makes people laugh. A great example of this is the Unicorn Meat that is available to buy from ThinkGeek.com. The next time there is a story or event that people are talking about online, try to come up with ideas of how you could relate that back to a product on your website. 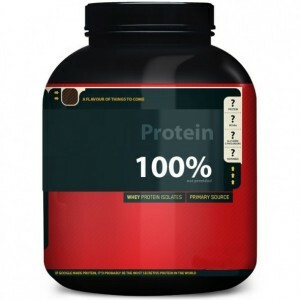 When I worked at Powerhouse Fitness I created a product called (not provided) Protein, this wasn’t primarily intended to attract any backlinks, it was just a quick way to poke a bit of fun at the (not provided) situation and engage with young professionals. This content ended up generating quite a few decent backlinks, a decent amount of traffic and even sales from SEOs wanting to get fit. Not bad for 20 minutes work! A few of the methods I mentioned previously in this post includes examples of Newsjacking but I thought it was important that this method had its own section in this blog post. There used to be a lot of buzz about Newsjacking in the SEO community but it has sort of died out recently. However, it is still a great way to acquire a large number of backlinks to your site, drive traffic and increase brand awareness. The concept of Newsjacking is extremely simple and basically involves quickly creating and publishing timely content when a major news story is breaking. I would advise being extremely cautious when using this method and avoid Newsjacking negative news stories as it can backfire extremely badly. Although an agile approach to marketing is important as you need to inject your content quickly as a news story is breaking to increase your chances of success, you can also plan to take advantage of events that occur every year such as Valentine’s Day, April Fools, Halloween, Guy Fawkes and Christmas etc. Although gaining backlinks can be extremely difficult, the above techniques can help you generate high quality natural links to your website which should help improve your presence on the search engine result pages. Here are a few books that I’ve read that I feel helped me improve my link acquisition abilities. This is another book that has helped me tremendously. Soon after learning about Newsjacking I was able to get a client of mine on to BBC News, Sky Sports and other news programs by encouraging them to write about a trending story. This book is a fascinating read and really helps your understand how to get your story on news websites. This isn’t really a book about link acquisition but I think it really helped me in all areas of marketing including content creation. Thanks again to Ammon Johns for recommending this many years ago! Which techniques have you found worked well for you?